The New Flower Mart builds upon the legacy of the San Francisco Flower Mart as an institution anchored within the city. 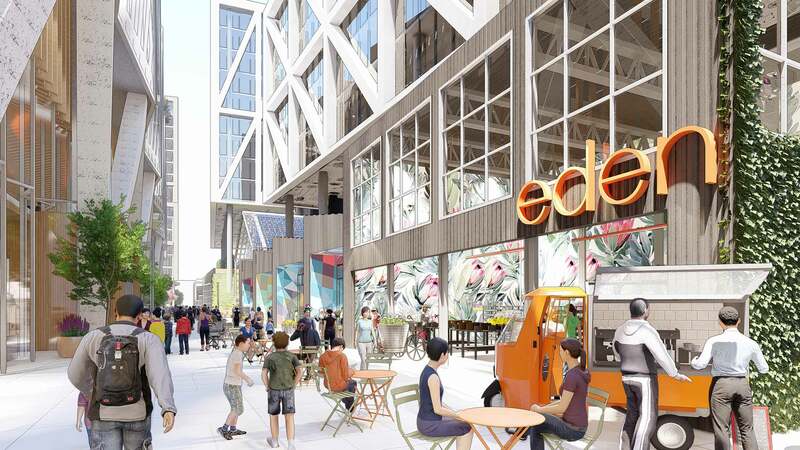 The New Flower Mart will expand its impact beyond the confines of its existing home and in doing so catalyze the next evolution of SOMA with the establishment of the Flower Mart District. 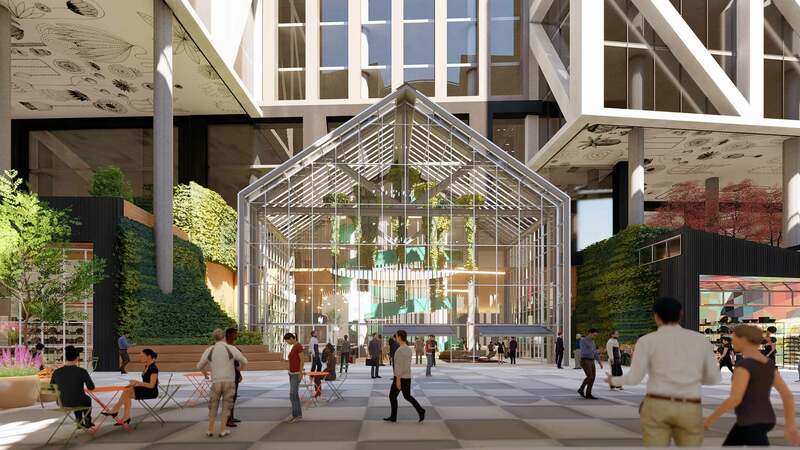 San Francisco Flower Mart will be the Bay Area’s most sought after creative workplace environment. 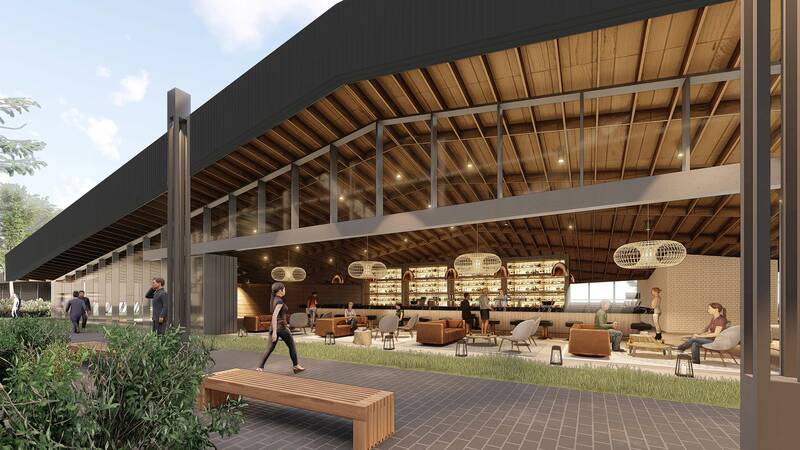 In the midst of the density of San Francisco, the new urban mixed-use campus of the Flower Mart brings together the best elements of Silicon Valley and San Francisco in one unique locale. 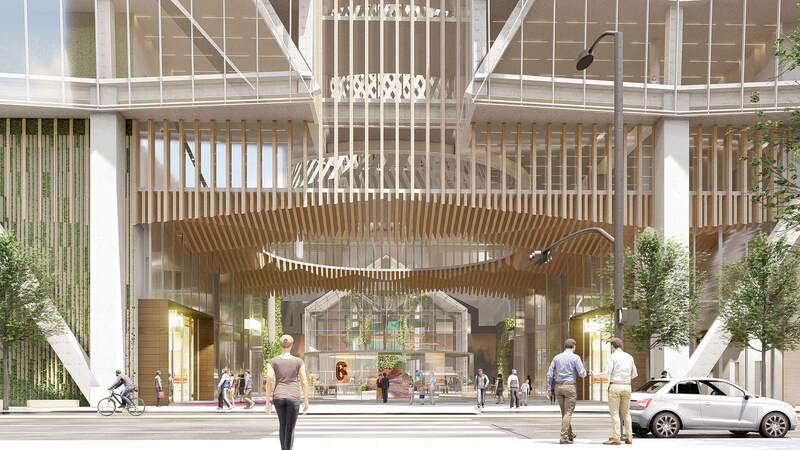 The New SF Flower Mart rises vertically with retail and workplace elements that slip harmoniously into the scale of the cityscape. The built form of the project is defined by 3 primary elements: The Market Hall; Blocks; and Gateway Building. Each building is tailored to its precise function and position within the overall composition of the project. 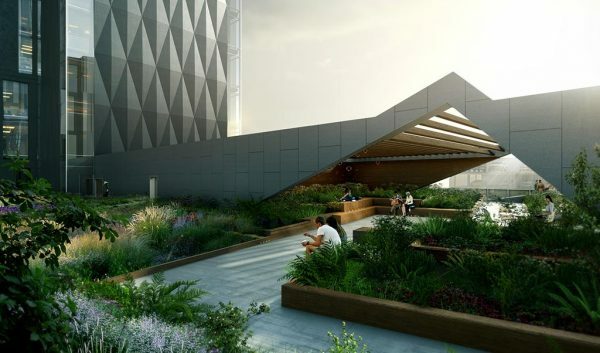 The buildings are all tightly integrated through landscape elements— native rooftop gardens, public plazas, and people-centered markets —in order to set the new standard of responsible, sustainable urban development in San Francisco. 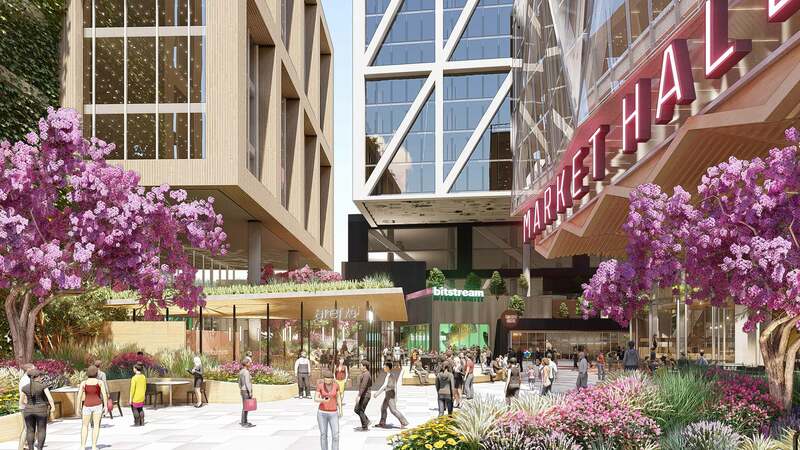 By sensitively incorporating the multiple uses that define SOMA into a synchronized whole, the Flower Mart will build on the legacy of the area and set the stage for the continued development of the city. The improved wholesale Flower Mart forms the core of the project, operating in an efficient and modernized new space. Connected to the Flower Mart, a new Market Hall supports the public interface of the market through curated retail floral spaces. In addition to the floral program the Market Hall will house smaller neighborhood-servicing retail spaces. Local Artisanal Food and Beverage spaces will sit next to smaller soft and hard good retail spaces. 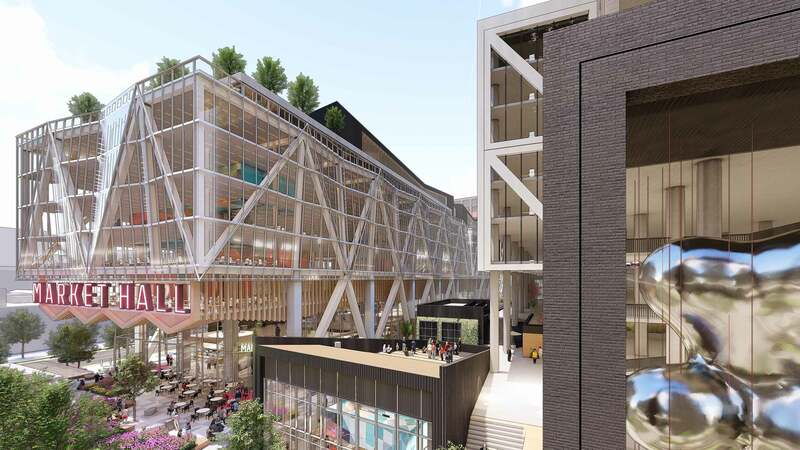 The project will be anchored by an additional 2 million square feet of office space, located in close adjacency to the extended Central Soma line. 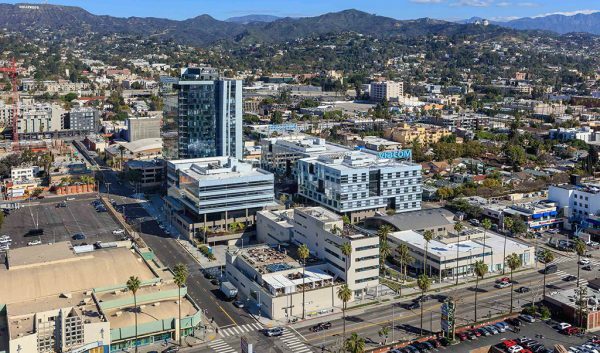 These buildings and their relationships will activate and support the other program at play on the site, providing differentiated high performance office spaces tailored for the next generation of workspace. Market Hall features broad daylit linear plates which are punctuated by a circular atrium and circulation cores at the sides of the space. 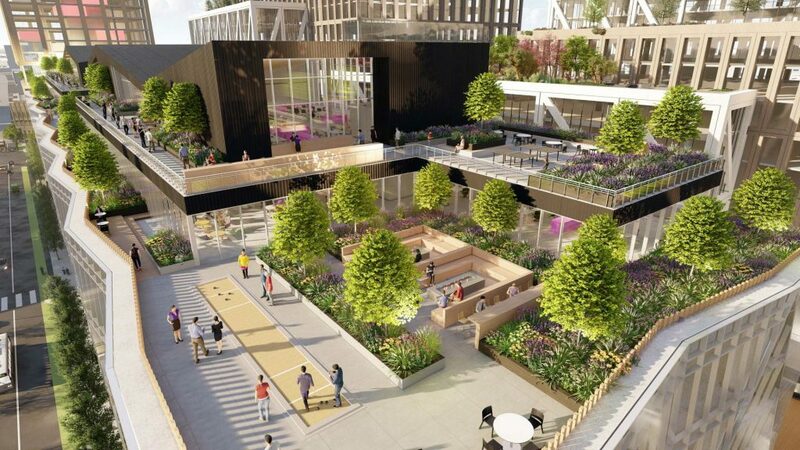 This atrium provides for ample inter-floor connectivity and fuses the office program to both the rooftop and the retail below. 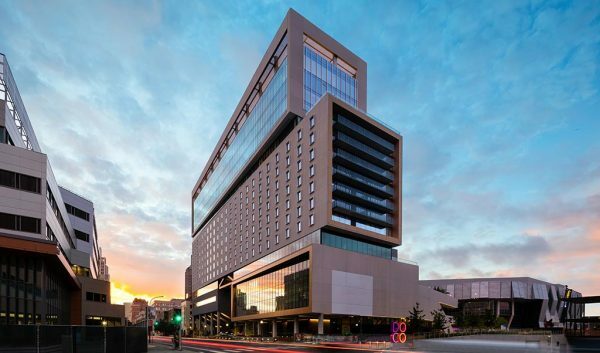 The Blocks Building has been designed to maximize collaboration and connectivity. Its broad megaplates (in excess of 100,000 square feet per floor) allow for dynamic and flexible workspaces. Punctuated by expansive decks, the blocks seeks to delimit the office space and maximize indoor-outdoor connection. Finally, the Gateway Building with its generous 20,000 square foot plates and side core maximizes the possibilities of a tower plate. 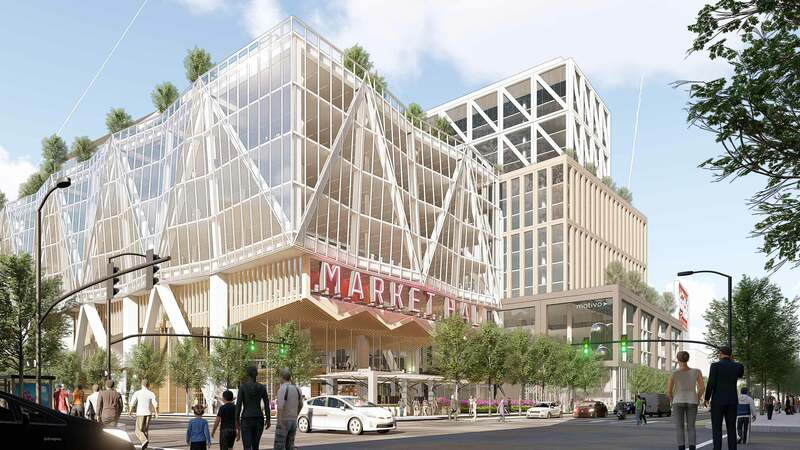 The project is conceived as a new icon in San Francisco, characterized by the bold architectural geometries of its buildings, but also by the lush native gardens crowning the structures thereby extending the identity of the Flower Mart out to the city at large. These gardens, with their native plants, fuse to the local ecology of the area propagating flowering plants throughout San Francisco to materialize the legacy of the Flower Mart.